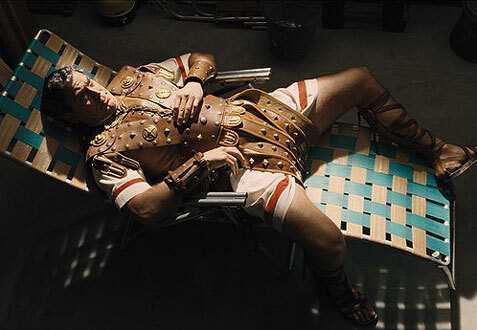 For the first 20 minutes or so of “Hail, Caesar!,” it feels as though Joel and Ethan Coen are making another “Burn After Reading,” only this time their target is not political thrillers in particular, but ‘50s Hollywood in general. George Clooney’s character’s sword & sandals epic (and the movie’s namesake) is pompous beyond words, and Scarlett Johansson’s pool movie is disturbingly good at pointing out the continuity errors of those films (she’s bone-dry in every shot). 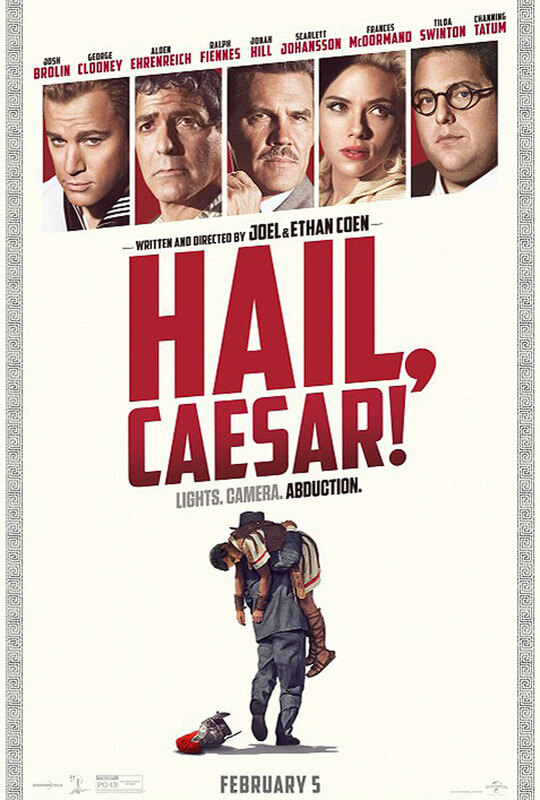 Ultimately, though, “Hail, Caesar!” is not about the films at all, and once that becomes clear, the films within the film become a distraction. Amusing distractions, yes, but they’re sometimes hard to watch without thinking of things the movie could be doing instead that would make for a better overall viewing experience. Eddie Mannix (Josh Brolin) is a “fixer” for the movie studio Capitol Pictures, where his day-to-day activities include making excuses for the whereabouts of his lothario superstar Baird Whitlock (Clooney), covering up a potential scandal involving his leading lady DeeAnna Morgan (Johansson), playing nice with the press (Tilda Swinton, playing twin reporters at rival publications), and executing the orders of the studio chief (whose last name, no joke, is Skank), no matter how boneheaded they may sound. Eddie soon discovers that Baird isn’t off on a bender, but has in fact been kidnapped, and is being held for $100,000 ransom. This all happens on the same day that Eddie is supposed to make a decision whether to leave Capitol for Lockheed Martin, a job with better hours and much better pay. He has a very short period of time to find a rat in an industry filled with rats. There is a coherent film to be had in here somewhere. The idea of a movie about a fixer is a good one; they have the best stories of anyone on the lot by a country mile. Channing Tatum’s song and dance number in a sailor pic is a thing of beauty. The rope routines of cowboy star Hobie Doyle (Alden Ehrenreich, the aforementioned boneheaded order from Skank) serve as a reminder of how certain people were elevated to stardom for having one special, outside-the-box skill which, ironically, Ehrenreich likely learned from an on-set consultant. Shooting nearly everything on a sound stage, thus making the entire film look like a ‘50s studio picture, is a nice touch as well. There is a battle for screen time taking place within the story structure, though. This is Eddie’s movie, yet he’s the least important thing in it. The Coens have assembled an impressive ensemble cast, and in their efforts to give them all ample screen time, they shortchange their lead, as well as a few of their star actors. Johansson and Ralph Fiennes have two scenes each (though Fiennes makes his moment count as a classy director stuck with Hobie), while Jonah Hill and Frances McDormand have so little screen time that it would have been better to not credit them at all. That way, their appearance on screen becomes a pleasant surprise, rather than a waste of their talents. And then there’s Swinton, who saves the day with her hilarious turn as the competitive Thacker twins. She is easily the best thing here. Throughout its 100-minute run time, “Hail, Caesar!” features two slices of bread, some turkey, lettuce, tomato, cheese and mustard, yet at no point does the movie seem to realize that it can take all of those ingredients and make a sandwich. There are several interesting or amusing moments, but each one feels isolated from the others. Goodness, if not quite greatness, was easily within reach here.